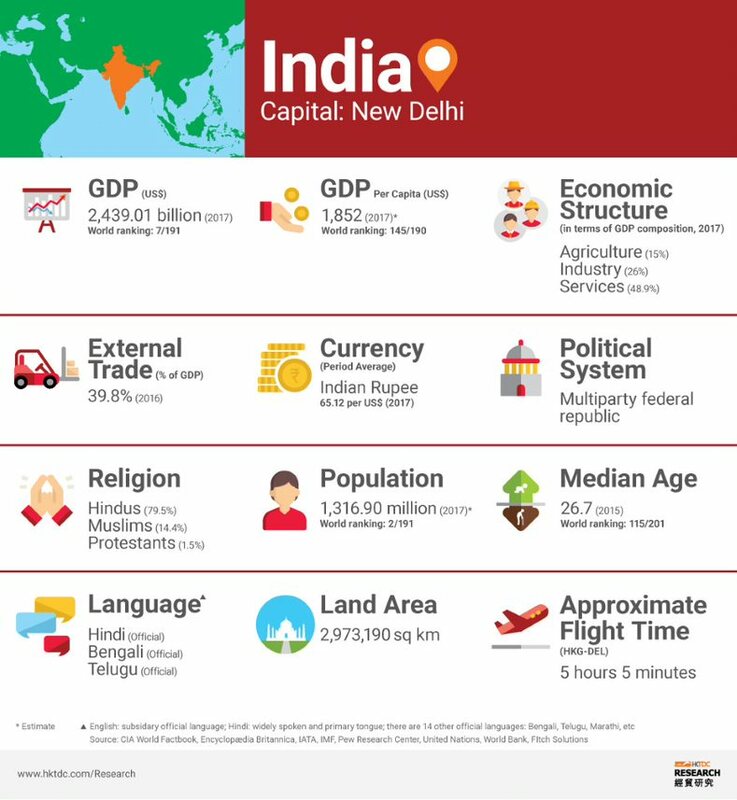 With a population of more than 1.3 billion people, India is the world's largest democracy and is already the world's third largest economy in purchasing parity terms. Economic liberalisation, including reduced controls on foreign trade and investment, began in the early 1990s and long-term GDP growth has become more stable, diversified and resilient. 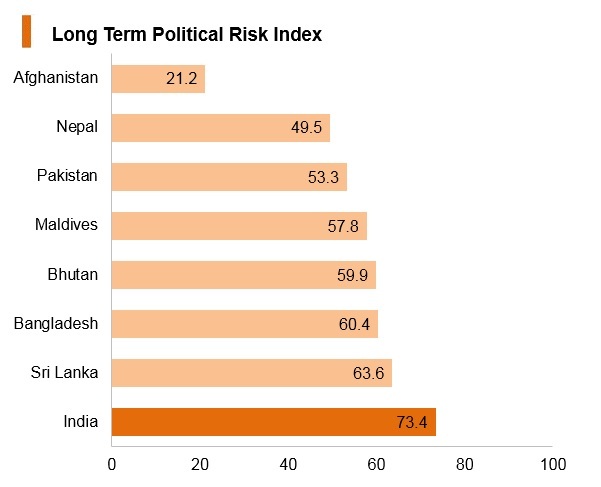 Over the next few years, India is expected to grow between 6% and 7%, with progress being buttressed by dynamic reforms in the macroeconomic, fiscal, tax and business environments as well as by favourable demographics. While the country's development trajectory is strong, challenges remain as development has been uneven, with the gains of economic progress and access to opportunities differing between population groups and geographic areas. Despite regulatory improvements to spur competitiveness, stronger efforts are needed to boost levels of private investment and exports in order to strengthen the prospects for faster economic growth in the years ahead. Other issues confronting the Indian government include fostering faster job creation, addressing distortions in the agricultural sector and strengthening the implementation of flagship government programmes. India's development trajectory on crucial issues (such as managing scarce water resources, modernising food systems, improving rural livelihoods, ensuring that megacities become engines of sustainable economic growth and inclusion) will have a major influence on the rest of the world. The Hindu nationalist Bharatiya Janata Party (BJP) and its candidate for Prime Minister, Narendra Modi, won parliamentary elections by a landslide. Visiting mainland Chinese President Xi Jinping and Prime Minister Modi unveiled landmark economic deals. Mainland China said that it planed to build two industrial parks in India as part of an overall investment plan worth USD20.0 billion out to 2019. India and Bangladesh signed a historic deal allowing more than 50,000 people living in border enclaves to choose which of the countries they live in. India launched its first space laboratory Astrosat in its biggest project since its Mars orbiter mission in 2014. The Indian government withdrew high denomination notes from circulation. The Indian government reached a wide-ranging cooperation agreement with the United Arab Emirates, with a series of deals on energy, defence, trade and maritime affairs. Along with Pakistan, India became a full member of the Shanghai Cooperation Organisation, an inter-governmental security grouping. India's membership saw the grouping's membership expand into South Asia. During a visit to Uganda, Prime Minister Narendra Modi India announced that India would open 18 new embassies across Africa. India climbed another 23 points in the World Bank's Ease of Doing Business (2019) ranking to 77th place out of 190 states globally, becoming the top ranked country in South Asia (for the first time) and third among BRICS. The Indian government planned to construct 44 'strategic roads' along its border with mainland China. The roads would allow India better access to the rough terrain covered by the 4,000km 'Line of Actual Control' between India and mainland China. General elections are due to be held in India between April and May 2019 to constitute the 17th Lok Sabha. The elections can be held at an earlier date if the Council of Ministers recommends dissolution of the 16th Lok Sabha. However, the minister of home affairs has publicly announced that the elections will be held according to schedule. India has been a World Trade Organization (WTO) member since January 1, 1995 and a member of the General Agreement on Tariffs and Trade (GATT) since July 8, 1948. India's government has embarked on economic liberalisation since 1991 and continues to work towards a more open trade regime. There has been progressive elimination of quantitative restrictions, simplification of import licence application and reduction of import tariffs since 1992. Trade barriers are likely to continue falling over the medium term as the government continues to sign trade agreements and bring tariffs into line with the standards of other Asian states. In addition, the planned implementation of standardised nationwide duties will improve clarity and reduce costs for businesses importing into India. India has preferential access, economic cooperation and free trade agreements (FTAs) with about 54 individual countries. India has signed bilateral trade deals in the form of comprehensive economic partnership agreements, comprehensive economic cooperation agreements, FTAs and preferential trade agreements (PTAs) with approximately 18 groups or countries. The Central Board of Excise and Customs has developed an 'integrated declaration' process leading to the creation of a single window that will provide importers and exporters a single point interface for customs clearance of import and export goods. 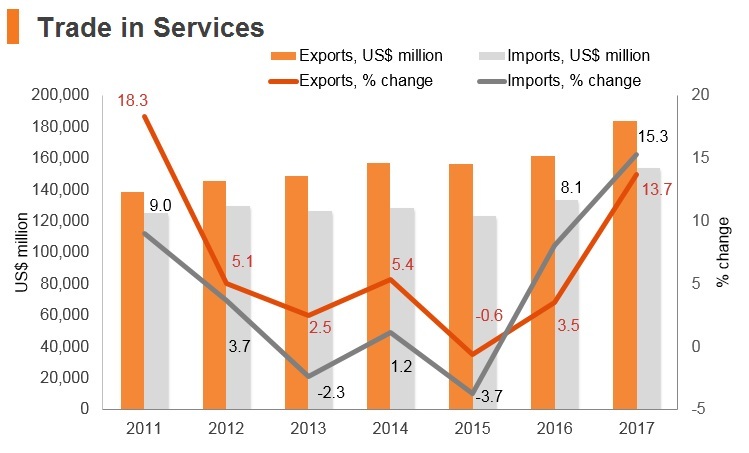 In the mid-term review of the Foreign Trade Policy (FTP) 2015-2020, the Ministry of Commerce and Industry enhanced the scope of Merchandise Exports from India Scheme (MEIS) and Service Exports from India Scheme (SEIS). The ministry increased the MEIS incentive for ready-made garments and made-ups by 2%, raised the SEIS incentive by 2% and increased the validity of duty credit scrips from 18 months to 24 months. India's goods and services tax (GST) is made up of three categories: central GST, state GST and integrated goods and services tax (IGST) under the concept of 'one tax, one nation'. IGST falls under the Integrated Goods and Service Tax Act 2016. The import of goods under the GST regime will be subject to IGST and compensation cess (if applicable), along with basic customs duty (BCD) and social welfare surcharge (at 10% levied on the BCD). BCD and social welfare surcharge paid at the time of imports are not available as credit under GST; consequently, they will always be a cost to the importer. Similar to erstwhile service tax laws, on import of a service, the service recipient would be liable to pay IGST under reverse charge. Also, there are specified categories of goods and services notified by the government on which GST needs to be paid by the recipient under reverse charge. The export of goods and services is zero rated under the GST. Exporters can claim a refund of input tax credit of inputs/input services used in the export of goods/services, subject to fulfilment of prescribed conditions. As per GST laws, exporters will be provided with a provisional refund within seven days from the date of acknowledgement. The Department of Commerce has announced increased support for the export of various products and included some additional items under the MEIS in order to help exporters overcome the challenges facing them. The Reserve Bank of India (RBI) has simplified the rules for credit to exporters through which they can now get long-term advances from banks for up to 10 years to service their contracts. This measure will help exporters get into long-term contracts while aiding overall export performance. 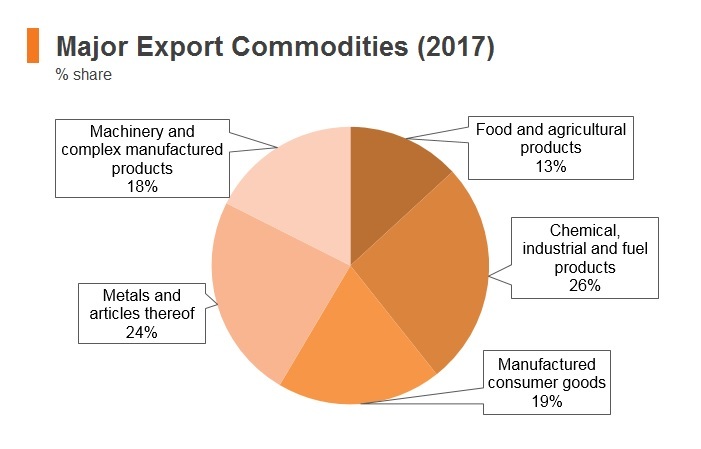 All export- and import-related activities are governed by the FTP, which is aimed at enhancing the country's exports, and use trade expansion as an effective instrument of economic growth and employment generation. As part of the FTP strategy of market expansion, India has signed a comprehensive economic partnership agreement with South Korea, which will provide enhanced market access to Indian exports. These trade agreements are in line with India's Look East Policy. To upgrade export sector infrastructure, 'Towns of Export Excellence' and units located therein will be granted additional focused support and incentives. There is a wide range of import duties in place to protect domestic production. Domestic taxes also favour cotton-based production rather than production based on man-made fibres and leather footwear rather than non-leather footwear. Customs duty is levied by the central government on goods imported into, and exported from, India. The rate of customs duty applicable to a product imported or exported depends on its classification under the Customs Tariff Act of 1975. With regard to exports from India, customs duty is levied only on a very limited list of goods. The customs tariff is aligned with the internationally recognised HSN provided by the World Customs Organization (WCO). On August 7, 2018, the Indian Ministry of Finance, through Notification No. 58/2018-Customs, increased the import duty on 328 tariff lines from 10% to 20%. These tariff lines include carpets, apparels and other textile products. India has increased the import tariff on textile goods twice in the last year, the last increase being on July 16, 2018. The e-way bill is an electronic bill that will be required for the movement of goods in case the value of the consignment is above INR50,000. The movement of goods may be (i) in relation to supply, (ii) for reasons other than supply, or (iii) due to inward supply from unregistered persons. The bill can be generated from the GSTN portal and every GST-registered taxpayer is required to comply with the requirement to issue an e-way bill. With effect from April 1, 2018, an e-way bill must be generated for inter-state goods movement. For intra-state goods movement, the government has provided that the e-way bill system will be introduced with effect from a date to be announced in a phased manner. However, majority states such as Maharashtra, Assam, Madhya Pradesh and Himachal Pradesh have already started issuing notifications for issuance of an e-way bill for intra-state goods movement. There are also various local content requirements in the area of infrastructure and solar power provision. In June 2016, the Indian Ministry of Finance imposed an export duty of 25% on raw, white and refined sugar. There are also restrictions on the export of certain types of rice and other strategic crops. Export profit from a new undertaking, satisfying prescribed conditions and set up in a special economic zone is eligible for tax exemption of 100% for the first five years, from the year in which manufacturing commences, followed by a partial tax exemption of 50% for the next five years. A further tax exemption of 50% of the export profit for five years is also available after that, subject to an equal amount of profit being retained and transferred to a special reserve in the books of account. The said exemption is available on commencement of eligible business between April 1, 2006 and March 31, 2021. The United States Generalised System of Preferences (GSP) allows India to export apparel at reduced rates. There are various import and anti-dumping duties on manufactured goods, second-hand goods, jewellery, rubber, plastics and metals (such as aluminium, steel and zinc alloys) as well as some batteries, solar panels, media products and various other machine parts. On the other end of the spectrum, India's mobile tech merchants are challenged with the boosted tariff amount on imported smartphones that began on April 1, 2018. In Q118, the Indian Ministry of Finance increased the import duty from 0% to 5% on 'scientific and technical instruments, apparatus, equipment, accessories, parts, components, spares, tools, mock-ups and modules, raw material and consumables required for launch vehicles and satellites and payloads'. 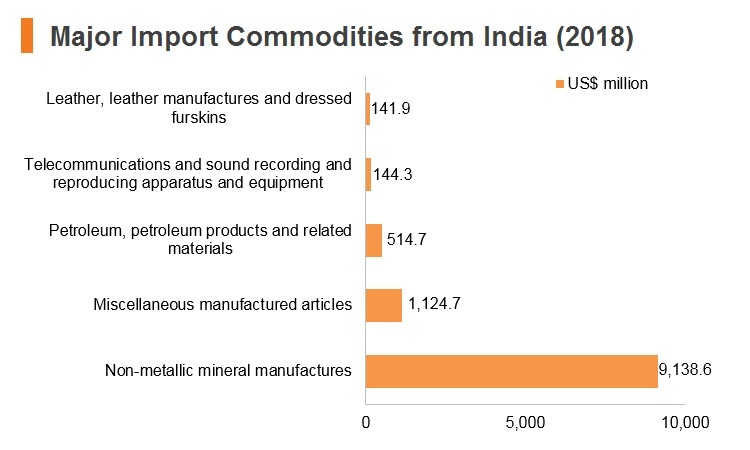 In August 2018, India announced that delayed higher tariffs against some goods imported from the United States will go into force on September 18, 2018. New Delhi, in response to Washington's refusal to exempt it from new tariffs, decided in June 2018 to raise import tax from August 4, 2018 on some United States products, including almonds, walnuts and apples, and later delayed the move. 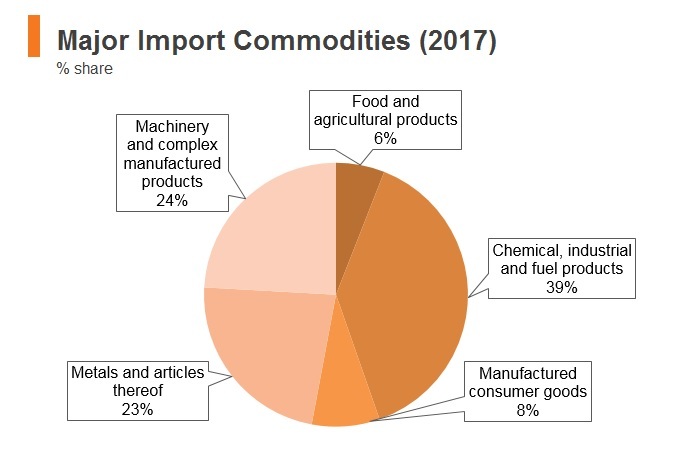 To help reduce the growing external sector imbalance, the government raised import tariffs on USD12.0 billion worth of imports on September 26, 2018. In addition, excise duties on gasoline and diesel were cut on October 4, 2018 to lessen the impact of higher fuel prices on consumers. India has proposed to buy petroleum products from the United States to help narrow the bilateral trade deficit. The United States has also emerged as a top arms supplier to India and US companies are bidding for military aircraft deals worth billions of dollars. The Indian government has become increasingly proactive in pursuing FTAs with major trade blocs and global trade hubs – including the Common Market of the South (MERCOSUR), the Association of South East Asian Nations (ASEAN) and Singapore – while negotiations with mainland China and the European Union (EU) are underway. This improves the ease of trading with large markets and key trade hubs by lowering tariffs and other barriers to trade. Indian products also receive easier access to the United States market through the implementation of the GSP. 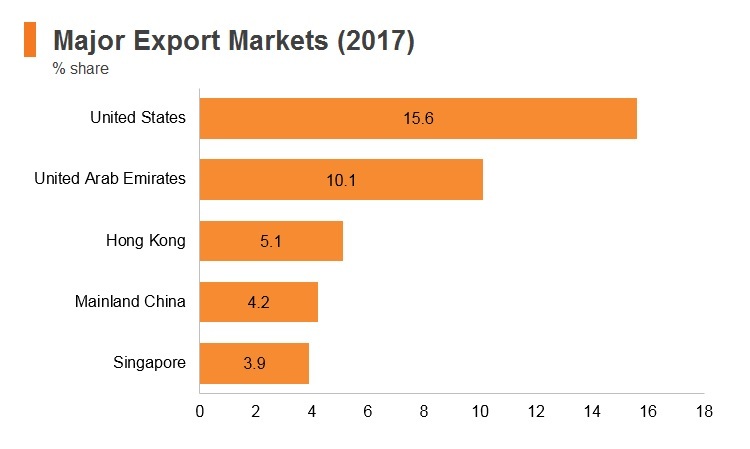 Nevertheless, FTAs have not yet been signed with some major trade partners, including mainland China and Gulf Cooperation Council (GCC) states, and tariffs and other barriers remain significant for trade with these countries. The South Asian Free Trade Area (SAFTA): India is party to SAFTA, comprising Bangladesh, Bhutan, India, the Maldives, Nepal, Pakistan and Sri Lanka. 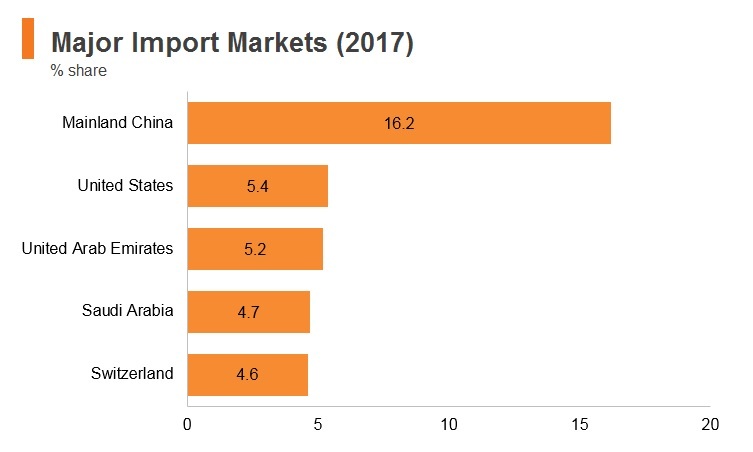 The Asian Development Bank (ADB) has estimated that inter-regional trade has the potential to ramp up agriculture exports from the existing level of USD8.0 billion to USD22.0 billion. The untapped potential for intra-regional trade is, therefore, USD14.0 billion per annum. 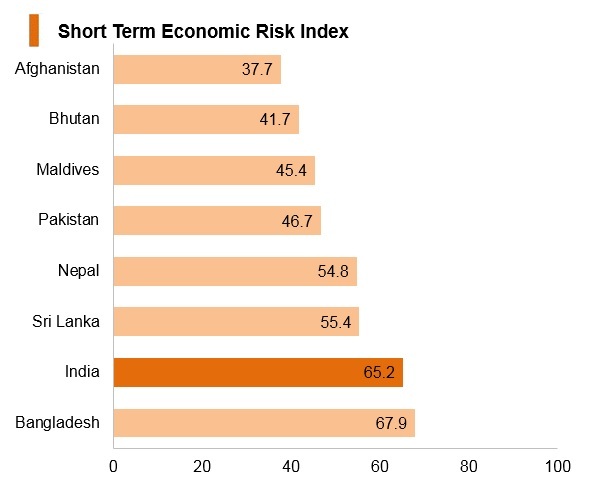 India provides maximum scope for realising its potential trade, given the very low actual trade levels with Bangladesh, Pakistan, Bhutan and Nepal. 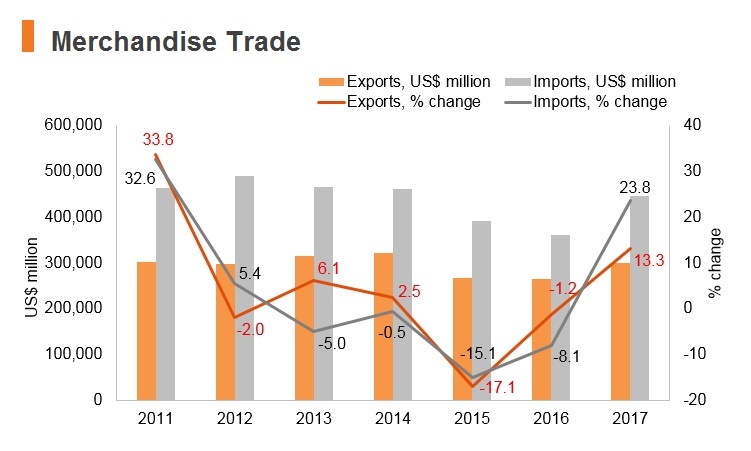 Its actual trade levels with Sri Lanka are much higher than the estimated trade based on the gravity model (largely due to the Indo-Sri Lanka FTA). 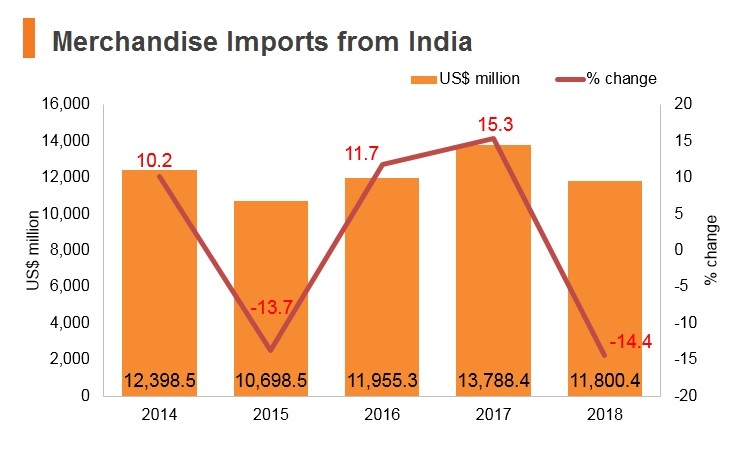 United States GSP: India benefits from the United States GSP as the United States is India's largest export market and the GSP eases access for apparel exporters. India-MERCOSUR PTA: A PTA was signed in New Delhi on January 25, 2004 and the India-MERCOSUR PTA came into effect from June 1, 2009. The aim of this PTA is to expand and strengthen the existing relations between MERCOSUR and India and promote the expansion of trade by granting reciprocal fixed tariff preferences with the ultimate objective of creating a free trade area between the parties. Trade with Latin America is low in comparison to other regions, but still significant. India, Latin America and the Caribbean are expected to see commercial relations elevate in the medium term as India seeks to strengthen ties with the region, benefiting the Asian country's manufacturing sector. ASEAN-India Free Trade Area (AIFTA): AIFTA is a free trade area among the 10 member states of ASEAN and India. The framework agreement envisages the establishment of an ASEAN-India Regional Trade and Investment Area (RTIA) as a long-term objective. The initial framework agreement was signed in October 2003, while the final agreement was signed in August 2009, with the free trade area coming into effect on January 1, 2010. The ASEAN-India Trade in Goods Agreement (TIG) was signed on August 13, 2009 and came into force for India and some member states that ratified it. The signing of the ASEAN-India TIG paved the way for the creation of one of the world's largest FTAs – a market of almost 1.8 billion people with a combined GDP of USD2.8 trillion. The ASEAN-India FTA will see tariff liberalisation of over 90% of products traded between the two dynamic regions, including the so-called 'special products', such as palm oil (crude and refined), coffee, black tea and pepper. Tariffs on more than 4,000 product lines will be eliminated. The ASEAN-India Trade in Services and Investment Agreements were signed on November 13, 2014 and November 12, 2014 respectively. Both agreements entered into force on July 1, 2015 for those ASEAN member states that have notified their ratification of the agreements. Currently, India is negotiating FTAs with Australia, Canada, Egypt, Indonesia, Israel, New Zealand, Thailand, the GCC and the EU. The Regional Comprehensive Economic Partnership (RCEP): RCEP is a mega-regional economic agreement being negotiated between the 10 ASEAN governments and their six FTA partners: Australia, mainland China, India, Japan, New Zealand and South Korea. India is negotiating for the liberalisation of services, a sector that contributes over 60% to its gross domestic product, while resisting broad tariff cuts. It has agreed to provide similar tariff reductions to all RCEP members, but wants a built-in safeguard regarding mainland China that will involve a different structure for duty cuts. The free movement of people, something India wants for highly-skilled information technology workers, remains a major sticking point for the 16-party deal, even as mainland China pushes for an accelerated timeline to finalise the agreement. India is also seeking multiple entry visas and a single visa card to facilitate entry to member economies and it wants an easing of restrictions on services, such as call centres and the establishment of foreign company subsidiaries providing services in other countries. The Modi government undertook further reforms since 2016 to formalise the large informal economy and digitise the economy. In addition to the GST overhaul, which targets greater tax registration and digital tax reporting, the government demonetised its high-value notes. Through demonetisation, the government aimed to better track undeclared earnings for tax purposes and increase the usage of digital payments, which lags other major emerging economies. 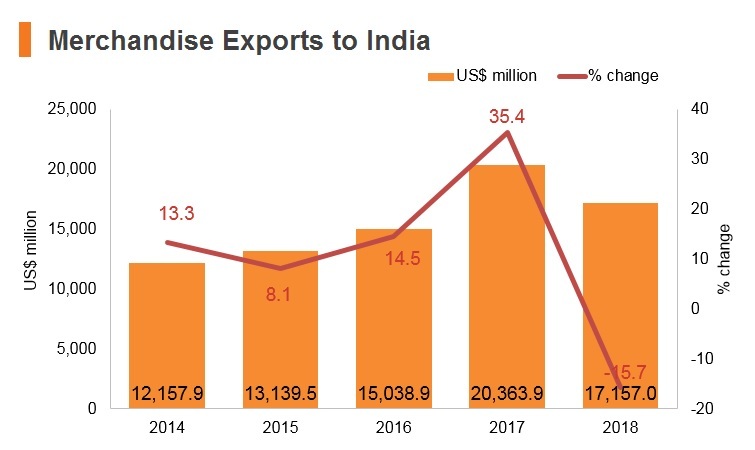 Preferential market access (for government procurement) has created substantial challenges for foreign firms operating in India, as public sector companies and the government allow a 20% price preference to vendors using more than 50% local content. Public private partnerships (PPPs) will come into focus as they are used to finance and build freight corridors – industrial areas integrated with transport and logistics facilities – and urban transit systems. The three freight corridors – north-south between Delhi and Chennai, east-west between Kharagpur in West Bengal and Mumbai and east coast between Kharagpur and Vijayawada – will improve connectivity between manufacturing centres, cities and ports. Urban transit systems will be essential to achieving the goal of efficient urban mobility and public transport outlined in the 100 Smart Cities initiative. Modi recently approved the Union Urban Development Ministry's proposal to build metro rail systems in 50 cities, with PPPs and municipal bonds providing much of the financing and private companies filling construction and operation roles. India and mainland China are looking to re-negotiate a bilateral investment agreement with an aim to create a more stable and transparent environment to enable greater investment in both the countries. Mainland Chinese firms that have a presence in India include Xiaomi, Oppo and Vivo. Improving investment openness could help partially shield firms in the ICT sector from tariff swings. Branches of foreign companies are taxed on income received in India, or which accrues or arises in India, at the rates applicable to foreign companies. There is no withholding tax on remittance of profits by the branch to its head office. To enable foreign investors to ascertain their indirect tax liabilities arising from proposed business ventures in India, the central government has constituted the Authority for Advance Rulings (AAR) as a high-level, quasi-judicial body. The functions of the AAR consist of giving advance rulings on a specific set of facts relating to specified matters under customs and GST. Property tax is levied by the governing authority of the jurisdiction in which the property is located. The rate of tax levied varies from city to city in India and is generally related to the prevailing market prices for property in each locality. India plans to build a new city in Gujarat, called the Gujarat International Finance-Tech City (GIFT City), in order to give global investors greater access to its growing economy. Two stock exchanges were established in the city in 2017, and government exemptions recently made trading virtually tax free. The city will also have its own financial regulator as part of an effort to reduce red tape and bureaucracy faced by foreign investors. The new exchanges based in the city, including one called India INX launched by the Bombay Stock Exchange, are the only ones in India to allow trading in USD. Government official statements suggest that the tax breaks, low property prices and other incentives mean that moving operations to GIFT City have helped some companies reduce costs by up to 80%. India is hoping that this zone will emulate the growth seen in Hong Kong and Singapore. Reforms introduced by Prime Minister Narendra Modi include foreign direct investment (FDI) cap relaxation and the launch of the 'Make in India' initiative (MII). Modi launched the MII in September 2014, with the aim of transforming India into the world's manufacturing hub through actively courting FDI in the manufacturing sector. India's economic policies are designed to attract significant capital inflows on a sustained basis and encourage technology collaboration. Almost all sectors are open to FDI, except for atomic energy, lottery business, gambling and betting, and some forms of retail trading. The Department of Industrial Policy and Promotion has set up a joint venture with the Federation of Indian Chambers of Commerce and Industry and various state governments to promote inward FDI. Invest India is responsible for promoting and facilitating investments to India, acting as the first reference point for overseas investors to offer handholding services. Under India's foreign investment policy, two routes are available for foreign investors, depending on the industry and the levels of investment contemplated. Automatic route: Foreign investment proposals under the automatic route do not need a prior approval by the government, provided the requisite documents are filed with the RBI within 30 days of receipt of funds. Qualified sectoral investment includes hotels and tourism, and courier services and similar sectors. Government route: All other proposals for foreign investment, which are not covered under the automatic approval route, are subject to government approval. For investment proposals below USD750.0 million, the proposal will be approved by the Foreign Investment Facilitation Portal (FIFP), while proposals above this amount will be approved by the Cabinet Committee on Economic Affairs. More information can be found at the official website of the FIFP. The government established several foreign trade zone initiatives to encourage export-oriented production. These include special economic zones (SEZs), export processing zones (EPZs), software technology parks (STPs) and export oriented units (EOUs). The newest category is the national industrial and manufacturing zones (NIMZs), of which 14 are being established across India. Foreign investors are allowed up to 100% ownership of shopping centres, townships and business centres, and the restrictions on the permitted floor area of construction projects have been removed. 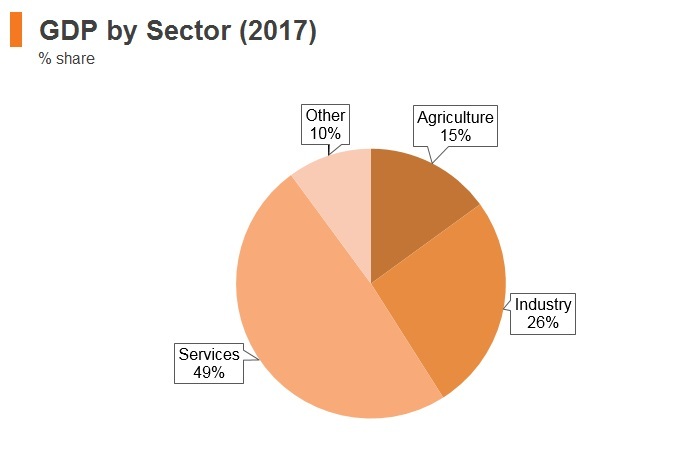 Foreign equity limits have been raised from 74% to 100% in telecommunications, credit information firms, and chartered air transport and ground handling services. 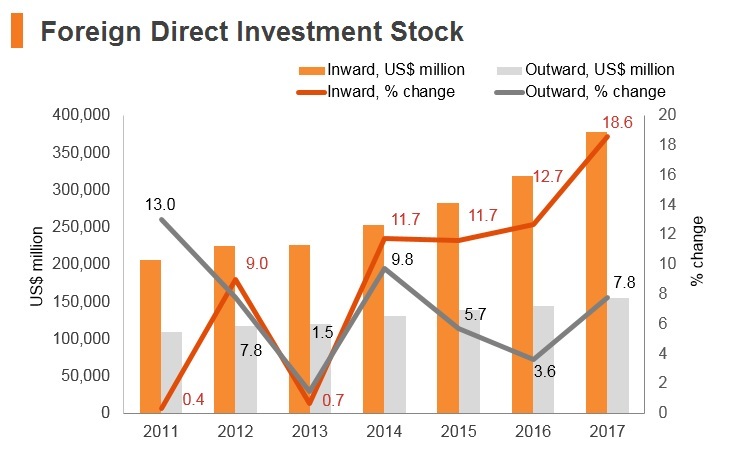 FDI is permitted up to 100% in the construction, operation and maintenance of some rail transport, such as high-speed trains, mass rapid transit, and passenger and freight terminals. Full foreign ownership is now permitted for certain agricultural enterprises producing coffee, rubber, cardamom, palm oil and olive oil, in addition to tea plantations. Foreign participation in the defence industry has been raised to 49% and may be permitted above this threshold after consideration by the Foreign Investment Promotion Board (FIPB). FDI is now permitted up to 74% in private banks and up to 49% in insurance and pension companies. Stamp duty is a government tax that is levied on all legal property transactions. Stamp duty is a tax that is paid as evidence for any purchase or sale of a property between two or more parties. Stamp papers, which are bought either in the name of the buyer or seller, are valid for six months, provided the stamp duty is paid without any delay. No document that has not been duly stamped can be introduced as evidence in any court proceedings. Stamp duty is charged at both central and state levels. State level stamp duties vary from state to state, and on the document type. Stamp duty should be paid in full without any delay, failing which a penalty is levied. Stamp duty has to be paid prior to execution (signature by an individual's party) of a given document, the next day, or on the day of document execution. Stamp duty is paid by a buyer in most cases. However, both the seller and the buyer have to bear the burden of stamp duty for property exchange cases. Stamp duty rates differ in various states across the country, as stamp duty in India is a state subject. However, the central government fixes the stamp duty rates of specific instruments. Securities transaction tax (STT) is applicable to transactions involving the purchase or sale of equity shares, derivatives, units of equity-oriented funds through a recognised stock exchange, or the purchase or sale of a unit of an equity-oriented fund to any mutual fund. The STT that can be levied in respect of such transactions varies for each kind of instrument, whether delivery based or non-delivery based. Rates of STT vary from 0.001% to 0.125%, depending on the nature of securities. However, securities transacted by any person on a recognised stock exchange located in an international financial services centre where the consideration for such transaction is paid or payable in foreign currency are not subject to STT. Measures are in place to facilitate the development of the North Eastern Region of India and of the state of Sikkim. Undertakings located in these states that begin to manufacture or produce any eligible article, undertake substantial expansion, or commenced an eligible business between April 1, 2007 and April 1, 2017 are eligible for a 100% deduction of profits for 10 consecutive years. Amortisation of capital expenditure incurred and actually paid by the taxpayer for acquiring the right to use spectrum for telecommunication services, in equal instalments over the period of useful life of the spectrum licence, is permitted. In order to encourage companies to locate high-value jobs associated with the development, manufacture, and exploitation of patents in India, the government has introduced a concessional taxation regime for income from patents. Accordingly, income by way of royalties in respect of a patent developed and registered in India earned by an eligible taxpayer shall be subject to tax at the rate of 10% (plus surcharge and cess) on a gross basis. The Securities and Exchange Board of India (SEBI) has enacted regulations relating to two categories of investment vehicles, namely Real Estate Investment Trusts (REITs)/Infrastructure Investment Trusts (InvITs). Pass-through status is provided to REITs in respect of income earned from renting, leasing, or letting out any real estate asset owned directly by the REITs. Thus, rental income is exempt in the hands of REITs. On distribution of rental income, REITs are not required to withhold taxes. Tax is not required to be withheld by tenants on payment of rent to the REITs. The interest paid by special purpose vehicles (SPVs) to business trusts (BTs) is taxable at the investor level (as against the BT itself) when the BT distributes such amounts. Interest income to non-resident investors is taxable at a lower rate of 5% (plus applicable surcharge and cess), whereas residents are taxable at the applicable tax rates. Dividends distributed by SPVs to the BTs are exempt from levy of dividend distribution tax (DDT) in the hands of the SPV. Such dividends are also exempt in the hands of BTs and investors if 100% of the equity shares of the SPV are held by BTs, except in case of shares mandatorily held by another entity as per law, and the dividends are distributed out of profits made after the acquisition of the SPV by BTs. Capital gains (such as on sale of shares of SPVs) are taxable in the hands of BTs at the applicable capital gains tax treaty rates. Any other income (including rental income) is taxable at the maximum marginal rate. Onward distributions of such income are exempt in the hands of the investors. Transfer of units of BTs through stock exchanges are liable to STT, and gains earned by investors on such sale of units are exempt from tax if the units qualify as long-term capital assets. A lower rate of 15% (plus applicable surcharge and cess) is applicable to short-term capital assets. Taxability of capital gains arising to sponsors on exchange of shares in SPVs with units of BTs is deferred to the time of disposal of such units by the sponsor. The applicability of minimum alternative tax (MAT) on gains arising from the swap of shares of the SPV for units of BT is deferred to the stage when the units are transferred by the BT. No capital gains tax exemption is available on the swap of other assets with units of BTs. Tax incentive for hiring new workmen With a view to encouraging generation of employment, the benefit of deduction on hiring of new workmen has been extended to all taxpayers who are subjected to tax audit, instead of the earlier provision, which was applicable only to manufacturing units. Furthermore, to enable smaller units to claim this deduction, the benefit has been extended to units employing 50 regular workmen. To increase employment generation incentive to taxpayers across all sectors (who are subject to a tax audit), where emoluments paid to an employee are less than or equal to INR25,000 per month, the taxpayer will be eligible for a deduction of 30% of additional wages paid to new regular workmen in a factory for a period of three years, wherein the workmen are employed for not less than 240 days in a year (150 days in the case of the apparel, footwear and leather industry). The benefits of this incentive would also be available in the first year of business, on emoluments paid to all employees. From the tax year 2018/19 (i.e., from April 1, 2018), the deduction shall be allowed in the succeeding tax year if an employee is employed for a period less than the minimum period (i.e., 150 days or 240 days) in the tax year and continues to remain employed for the minimum period in the succeeding tax year. The tax holiday periods range from five to 10 years, and the percentage of the rebate is 30%, 50% or 100% in initial years and 30% in the later years. The number of years constituting 'initial' and 'later' years varies from sector to sector. Research and development (R&D) expenditure A weighted deduction of 150% of expenditure is available for expenditure incurred on scientific research in an in-house R&D facility approved by the prescribed authority for companies engaged in specified businesses and in research associations, universities, etc. Such weighted deduction will be restricted to 100% of the expenditure from tax year 2019/20 onwards. A payment made to an approved research association undertaking research in the social sciences or in statistical research, or to an Indian company to be used by it for scientific research, is eligible for a deduction of 100% of the payment made. Contributions made to any National Laboratory, approved scientific research associations, universities and the Indian Institute of Technology are eligible for a weighted deduction of 150% of the contributions made up to March 31, 2021. Thereafter, the deduction will be restricted to 100% of the contribution. Tax incentives for certain income relating to offshore banking units and international financial services centres A scheduled bank, or any bank incorporated by or under the laws of a country outside India that has an offshore banking unit in an SEZ or an international financial services centre with a specified income that is subject to prescribed conditions is eligible for a tax exemption of 100% of the specified income for five consecutive years beginning from the year in which the permission under the Indian Banking Regulation Act of 1949 was obtained and of 50% of the specified income for five consecutive years. To encourage the location of offshore fund managers in India, a specific regime has been laid down. In the case of an eligible investment fund, fund management activity carried out through an eligible fund manager acting on behalf of such fund will not constitute a business connection in India. An eligible investment fund will not be treated as resident in India merely because the eligible fund manager undertakes fund management activities in India. Offshore funds and fund managers are required to satisfy certain conditions to be eligible for the regime. The conditions are not applicable to funds set up by the government of a foreign state or the central bank of a foreign state, a sovereign fund, or such other funds as may be notified by the government of India and subject to fulfilment of conditions as may be specified. Furthermore, the special regime shall be applied in accordance with guidelines and in such manner as the administrative board may prescribe. The GST is the most significant reform in India’s indirect tax structure in over two decades. The GST is a consumption-based tax, as it is applicable where consumption takes place. The GST is levied on value-added goods and services at each stage of consumption in the supply chain. The advent of GST has taken over all the indirect taxes in India, including VAT, service tax and excise duty. These indirect taxes or VAT were levied on each step of value addition of the product, thus creating a cascading effect. Therefore, GST was introduced to bring down unwanted inflation in the economy. The GST rates for goods are 0.25%, 3%, 5%, 12%, 18% and 28%. For services, the GST rates are 5%, 12%, 18% and 28%. Some goods and services are exempt from tax. GST compensation access at varying rates is levied on supplies of certain specified goods and services. The first tax treaty between India and Hong Kong entered into force on November 30, 2018. The new Hong Kong-India tax treaty reduces withholding tax rates for both Indian and Hong Kong residents. Dividend withholding is reduced to 5% and interest, royalties and technical services fees withholding is reduced to 10%. The treaty also provides for source country taxation of capital gain on sales of shares sales. Furthermore, the new treaty includes modern anti-treaty shopping provisions that aim to check transactions that lack substance. The new treaty will enter into effect for Hong Kong for tax year of assessment beginning on or after April 1, 2019. For the assessment year 2019/20, the amount of income tax and the applicable surcharge will be further increased by health and education cess calculated at the rate of 4% of such income tax and surcharge. Corporate Income Tax for domestic firms (standard rate if income is less than INR10.0 million and turnover is not greater than INR2.5 billion in tax year 2016/17) 25% basic rate for domestic companies. The rates are subject to additional levies (surcharge and cess). The effective rate is 26%. Corporate Income Tax for domestic firms (standard rate if income is less than INR10.0 million and turnover is more than INR2.5 billion in tax year 2016/17) 30% basic rate for Indian companies. The rates are subject to additional levies (surcharge and cess). The effective rate is 31.2%. Corporate Income Tax for foreign firms (standard rate if income is less than INR10.0 million) 40% on profits for foreign companies (additional rates may apply due to surcharges on health and cess). The effective rate is 41.6%. Corporate Income Tax for domestic firms (standard rate if income is between INR10.0 million and INR100.0 million and if turnover is not greater than INR2.5 billion in tax year 2016/17) 25% basic rate for Indian companies. The rates are subject to additional levies (surcharge and cess). The effective rate is 27.8%. Corporate Income Tax for domestic firms (standard rate if income is between INR10.0 million and INR100.0 million and if turnover is more than INR2.5 billion in tax year 2016/17) 30% basic rate for Indian companies. The rates are subject to additional levies (surcharge and cess). The effective rate is 33.4%. Corporate Income Tax for foreign firms (standard rate if income is between INR10.0 million and INR100.0 million) 40% on profits for foreign companies (additional rates may apply due to surcharges on health and cess). The effective rate is 42.4%. Corporate Income Tax for domestic firms (standard rate if income is over INR100.0 million and if turnover is not greater than INR2.5 billion in tax year 2016/17) 25% basic rate for Indian companies. The rates are subject to additional levies (surcharge and cess). The effective rate is 29.1%. Corporate Income Tax for domestic firms (standard rate if income is over INR100.0 million and if turnover is more than INR2.5 billion in tax year 2016/17) 30% basic rate for Indian companies. The rates are subject to additional levies (surcharge and cess). The effective rate is 34.9%. Corporate Income Tax for foreign firms (standard rate if income is over INR100.0 million) 40% on profits for foreign companies (additional rates may apply due to surcharges on health and cess). The effective rate is 43.7%. Minimum Alternative Tax 18.5% on profits. Including surcharge and health and education cess (effective tax rate) the highest effective rate for domestic firms is 21.6%, and for foreign firms is 20.2% (for firms with income of over INR100 million). The corresponding lowest effective rates are 19.2% for Indian firms, and 19.2% for foreign firms (in cases where income is less than INR10.0 million). Goods and Services Tax There are multiple tax rates of 0%, 5%, 12%, 18% and 28%, while several items are exempted and exports are zero-rated (exporters can claim refunds for taxes paid on inputs that go into the production process). Private sector industrial enterprises desiring to employ foreign nationals are required to apply for permission in advance. The employment of foreign nationals is normally only considered for (skilled) jobs that local personnel are unable to fulfil. Work permits are required. The employment visa is required for employment purposes, including execution of a project in India. The employment visa is issued to highly skilled and qualified professionals who are taking up assignment or employment with companies registered in India. An authenticated copy of the employment contract and proof of registration of the employing organisation are to be furnished. An employment visa is granted initially for a period of six months or for the duration of the employment contract. Eligibility conditions include a minimum annual salary of USD25,000 in a highly skilled role. The business visa for establishing industrial or business ventures, or for exploring business possibilities or activities, is comparatively easier to obtain. Foreign nationals entering India on a long-term visa (more than 180 days) must register with the Foreign Registration Office within 14 days of their arrival in India. Immediate family members will be permitted to join the main applicant in India, although if family members wish to work they will have to apply for their own visa. A foreign worker holding a passport of a country with which India has signed a social security agreement is required to contribute 12% of his or her salary to the social security system. A similar 12% of salary is contributed by resident employees for the Employees' Provident Fund and Employees' Pension Fund. However, foreign workers can detach themselves from the scheme under a special provision on obtaining a 'detachment/coverage certificate' issued by an appropriate social security institution if the period of employment in India is less than the maximum period of detachment agreed in the agreement. 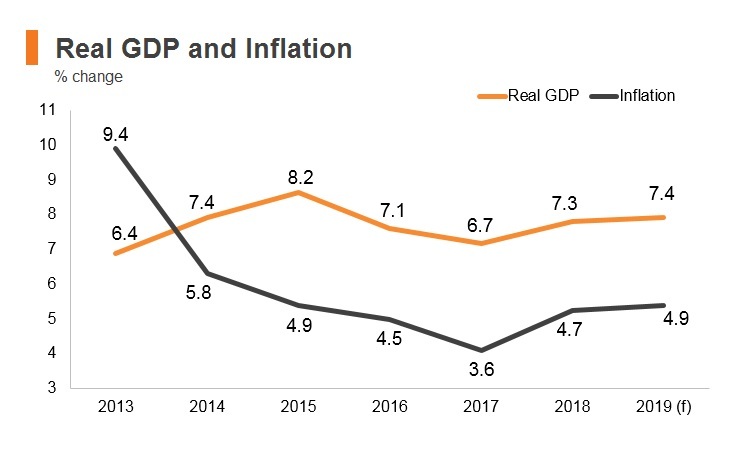 India will remain one of the fastest-growing major economies in the near term, supported by faster private consumption and investment growth as well as increased government spending ahead of the 2019 general election. 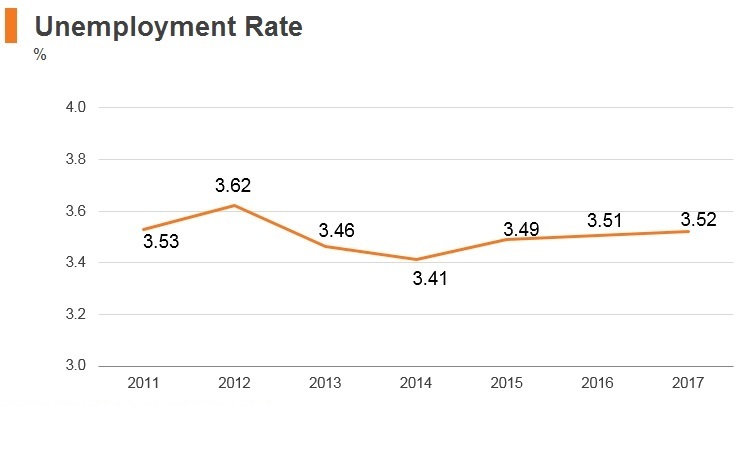 The Indian economy has broadly benefited from the reforms undertaken by the government since it took office in May 2014, and the government continues to enact incremental reforms, which should be positive for the economy. Favourable demographics and trade integration should maintain strong tailwinds. However, should India's reform momentum slow down, the country could struggle to generate sufficient savings growth to finance its investment needs, with headline economic growth suffering as a result. 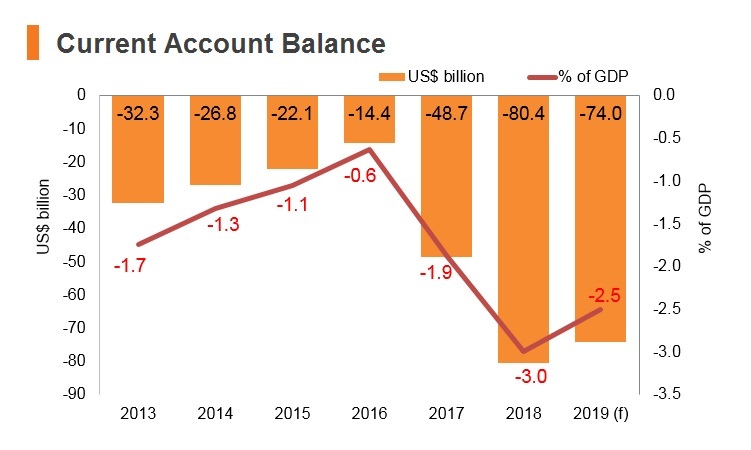 Furthermore, the banking sector continues to be burdened by elevated levels of non-performing loans, fiscal imbalances remain structurally high and governmental efforts to clean up the financial system could take years to show results. 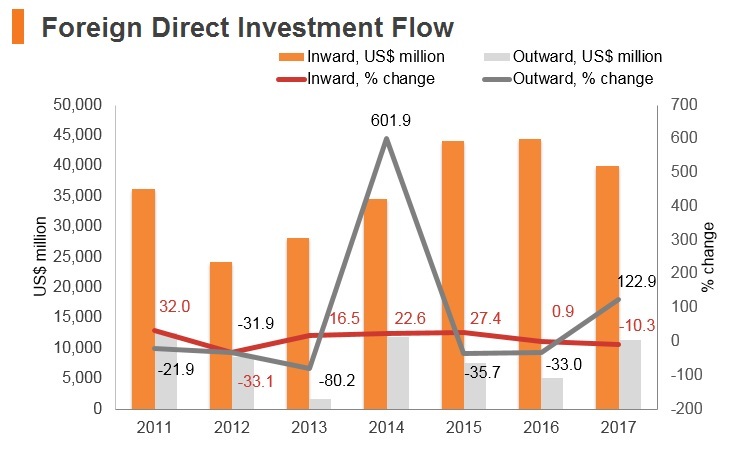 Rising global trade tensions could also result in a global risk-off path, thereby slowing the flow of FDI into emerging markets such as India. 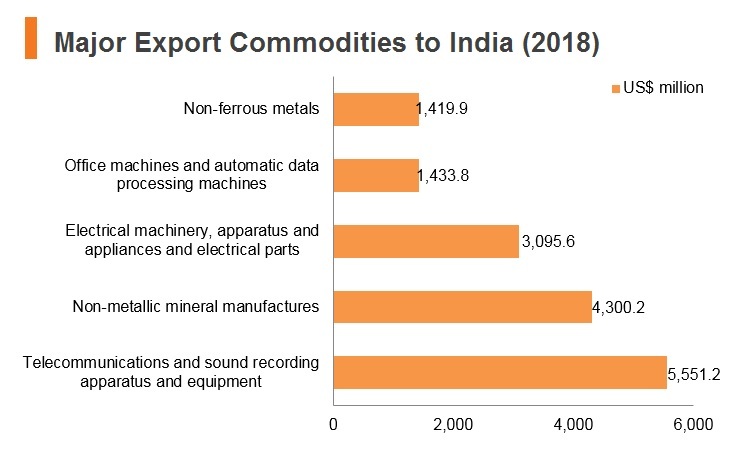 India's main appeal lies in its large market and high growth potential, with the country benefiting from significant natural resources, diverse service sectors and an expanding industrial base. 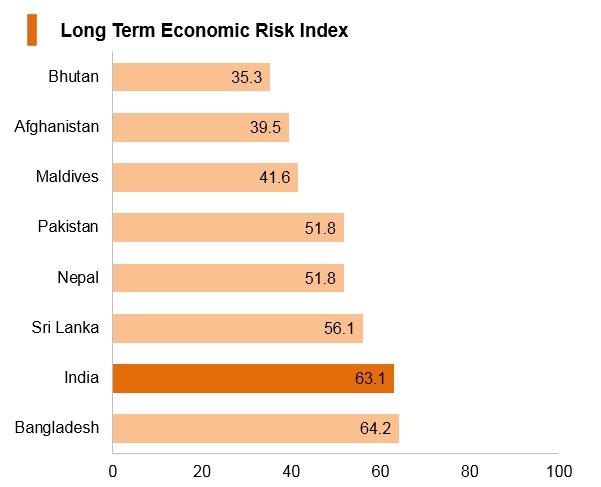 Since 2014, the Indian economy has broadly benefited from the reforms undertaken by the government and long-term economic growth will be supported by the large and rapidly growing working-age population, as well as robust infrastructure development that will boost the country's logistics profile. 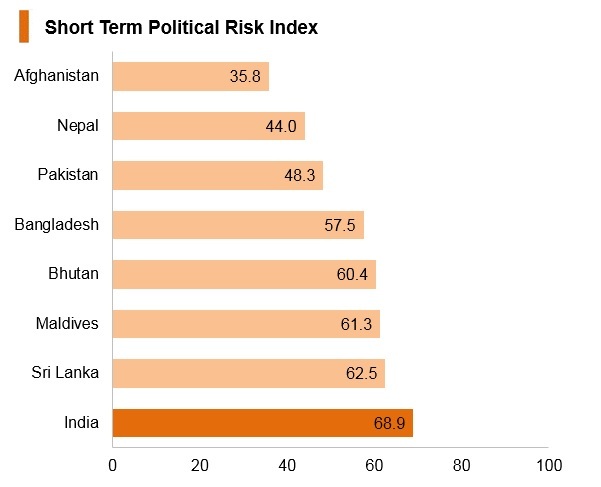 However, over the short-to-medium term, the country will remain encumbered by some significant structural risks underpinned by the stuttering pace of reform and less robust utilities infrastructure to support industrial and trade growth, particularly compared to regional giant mainland China. The first tax treaty between India and Hong Kong entered into force on November 30, 2018. Initially, Hong Kong signed a comprehensive double taxation agreement (DTA) with India on March 19, 2018. The new treaty will enter into effect for Hong Kong for tax year of assessment beginning on or after April 1, 2019. The Consulate General of India, Hong Kong, issues tourist, business, employment, student and other types of visas to applicants who are residents of Hong Kong and Macau for a minimum period of two years. Tourist and business visas are normally issued in three working days. Tourist visas allow a maximum stay of 90 days from the date of arrival in India on a single visit. The visa fee to be paid in cash is HKD335 and the tourist visa is non-extendable and non-convertible. Business visas are normally issued to those applicants who intend to go to India for business purposes. A letter each from the local employer and the sponsoring company in India stating the purpose of the visit, places and organisations to be visited and the duration of the visit must be submitted along with the visa application. The invitation letter should contain the full name, address, telephone number and e-mail of the authorised signatory. A copy of the Hong Kong/Macau Business registration is also required.